Jalapeno Cheddar Honey Cornbread is absolutely delightful. Every now and then you land on a GREAT recipe! Granted, this is a hot recipe because it has jalapenos, but it is also sweet because it uses three kinds of sweeteners–sugar, brown sugar and honey! 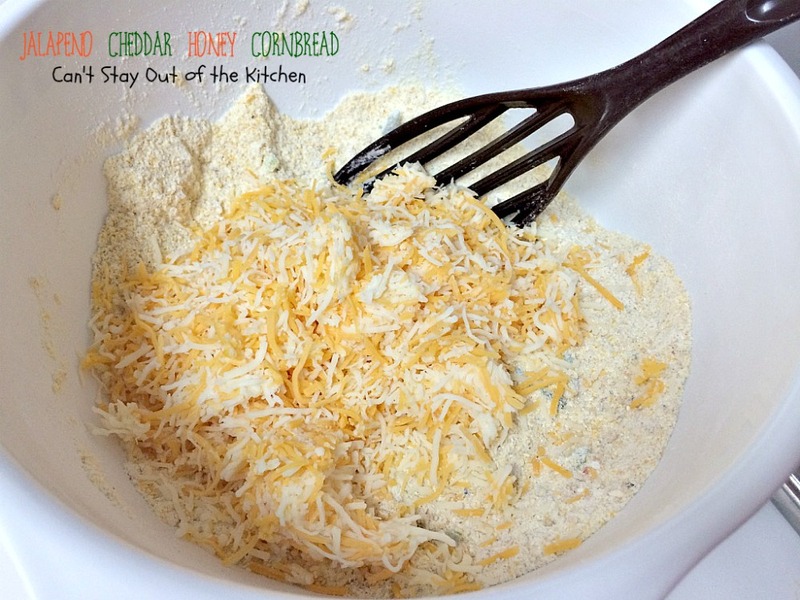 The cheddar cheese adds flavor and the buttermilk keeps it moist. 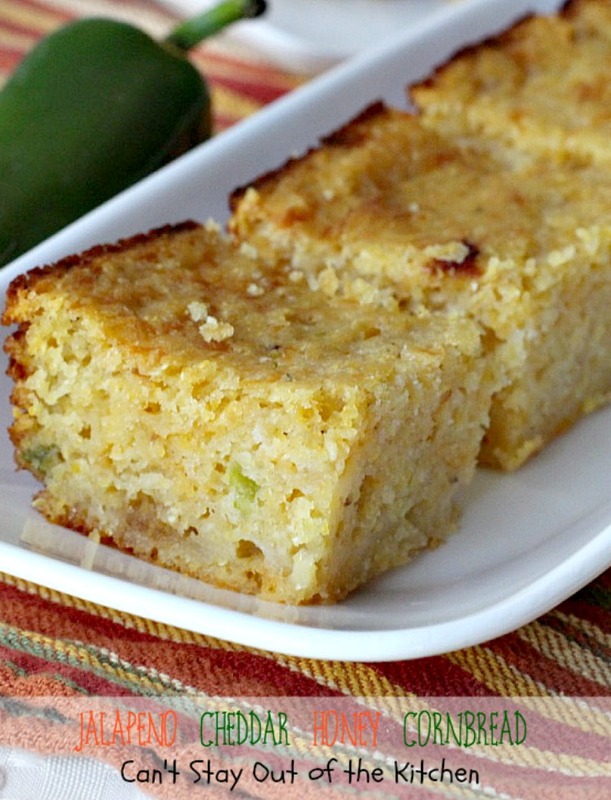 If you’re a cornbread lover like I am, this recipe has to be included in your repertoire. 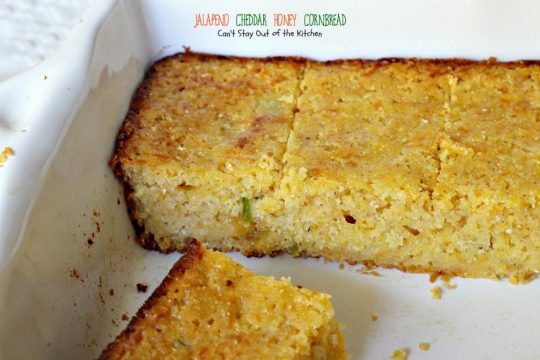 Most of you know how much I enjoy cornbread! I have tons of cornbread recipes on my blog, including one for sweet potatoes, one with bacon and cheese that’s to die for, a Boston Market Cornbread copycat recipe, Mexican Cornbread made with green chiles, one with broccoli (! 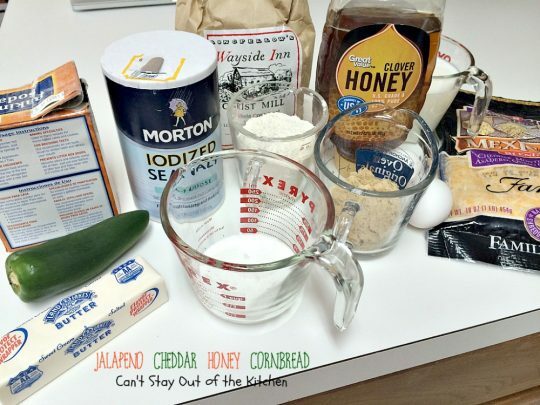 ), one with Bacon, Jalapeno and gruyere cheese, and several others that have Molasses, sweet cornbreads or gluten free. 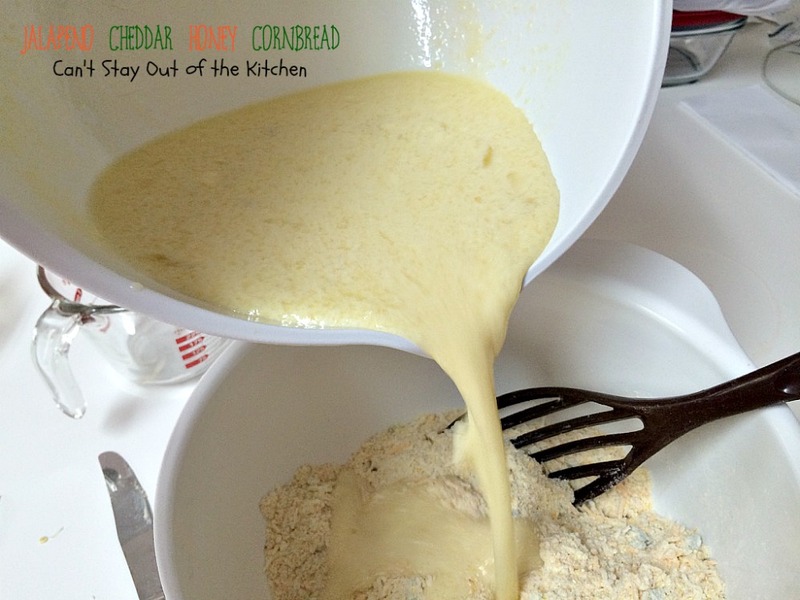 Most of them use buttermilk, although I usually sour my own milk which I did for this recipe. We belong to two different care groups in our church and we took a batch of this cornbread and Deer Chili to both of them. Texans love their cornbread especially served with chili, Chicken Tortilla Soup or Taco Soup. 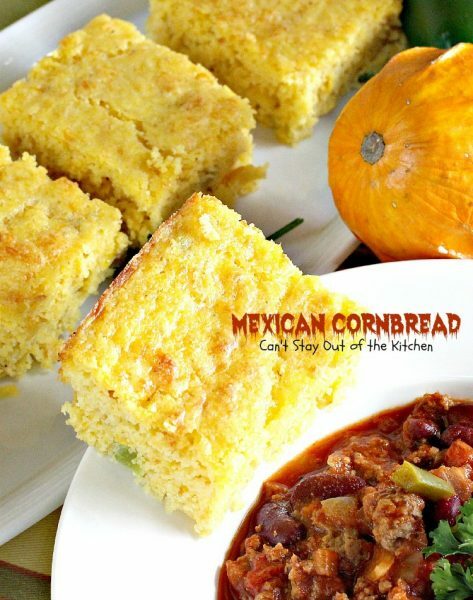 In fact, cornbread trumps homemade bread or rolls in most cases–especially when serving chili or Tex-Mex recipes. Jalapeno Cheddar Honey Cornbread combines sweet, savory and spicy flavors. It’s an unbeatable combination. 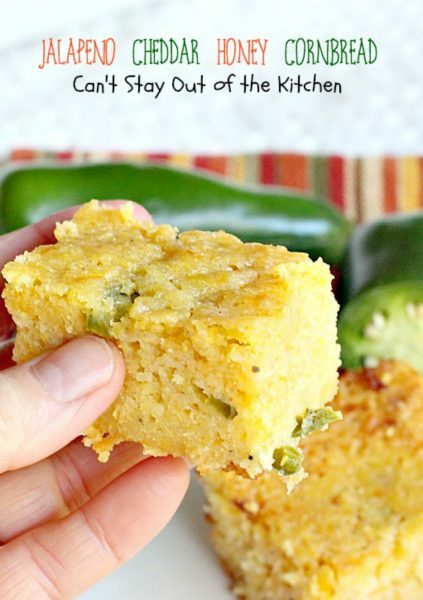 If you enjoy jalapenos with your cornbread, this recipe is fantastic. 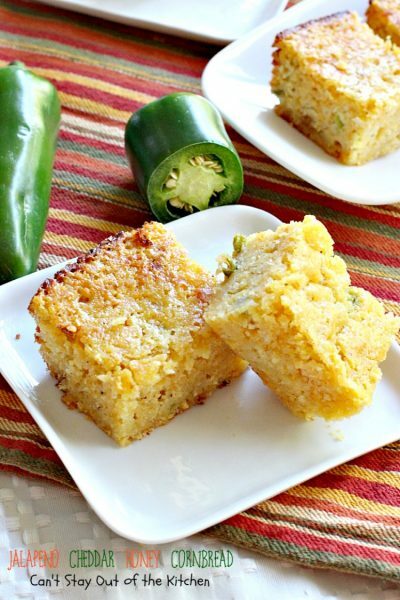 Serve Jalapeno Cheddar Honey Cornbread with any Tex-Mex style soup or chili. I used these ingredients. If you can find a good stone ground corn instead of the over-refined stuff in the grocery stores you will end up with better flavor and texture. I used Wayside Inn’s Grist Mill corn meal. 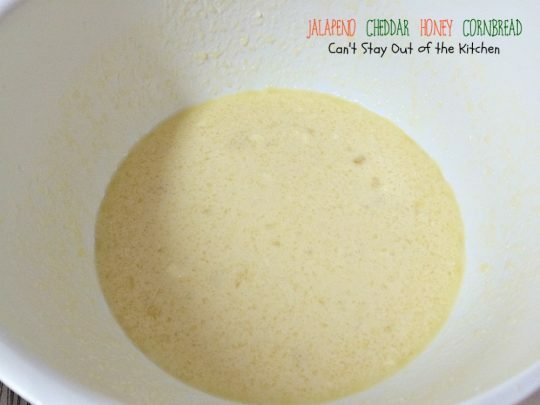 Combine honey, eggs, buttermilk or soured milk and melted butter in a mixing bowl. In a separate bowl, combine, flour, sugar, brown sugar, corn meal, salt, baking soda and finely diced jalapeno peppers. (Make sure to remove all the seeds). Stir to combine. Add cheddar cheese. I used a Mexican cheese blend. Stir again to combine. Pour buttermilk mixture into corn mixture and stir to combine. Grease or spray an 8×12″ glass baking dish. Pour cornbread mixture into prepared dish. Top with jalapeno slices if desired. (I removed all the seeds). Bake at 350 for about 20-25 minutes. Tent with foil after 15 minutes if getting too brown. (I did not need to do this). Jalapeno Cheddar Honey Cornbread is scrumptious….especially if you enjoy spicy cornbread! Scrumptious Tex-Mex cornbread that's sweet, savory and spicy. Great served with chili. 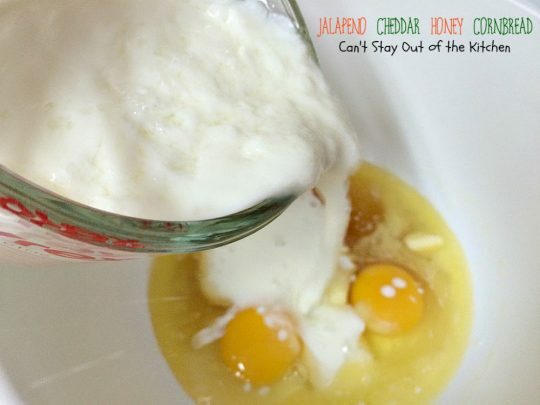 Combine honey, eggs, buttermilk and melted butter in a mixing bowl. 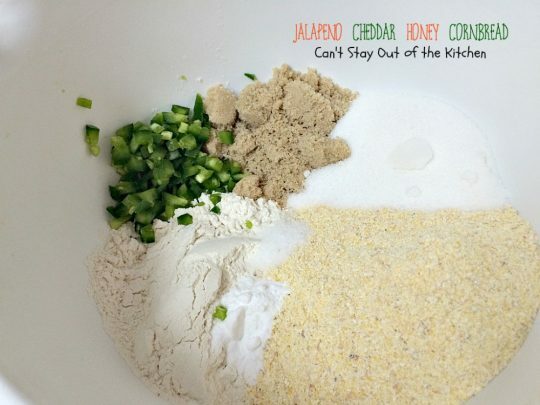 Combine corn meal, flour, salt, baking soda, sugar, brown sugar, jalapeno pepper and cheese in another bowl and mix thoroughly. Add buttermilk mixture to cornmeal mixture. Spray an 8x12” glass baking dish with cooking spray. 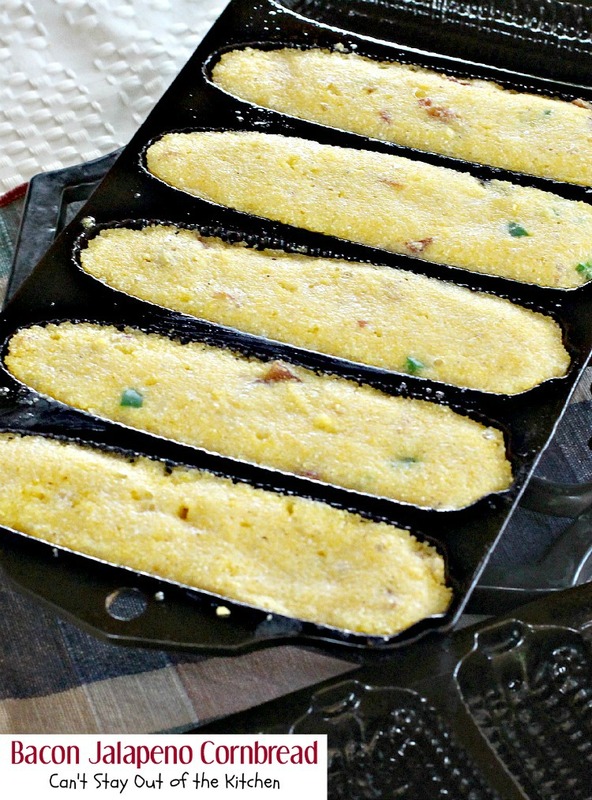 Pour cornbread batter into prepared dish. 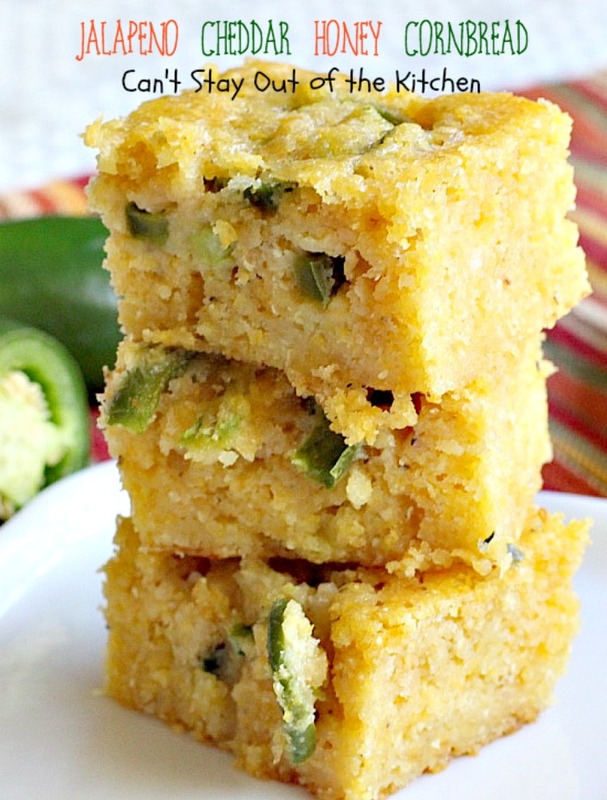 Place a few jalapeno pepper slices on top. Tent with foil after 15 minutes if necessary to prevent browning. NOTE: Be careful to remove all the seeds from the pepper before adding to recipe. Scrumptious Tex-Mex cornbread that’s sweet, savory and spicy. Great served with chili. Spray an 8×12” glass baking dish with cooking spray. Be careful to remove all the seeds from the pepper before adding to recipe. 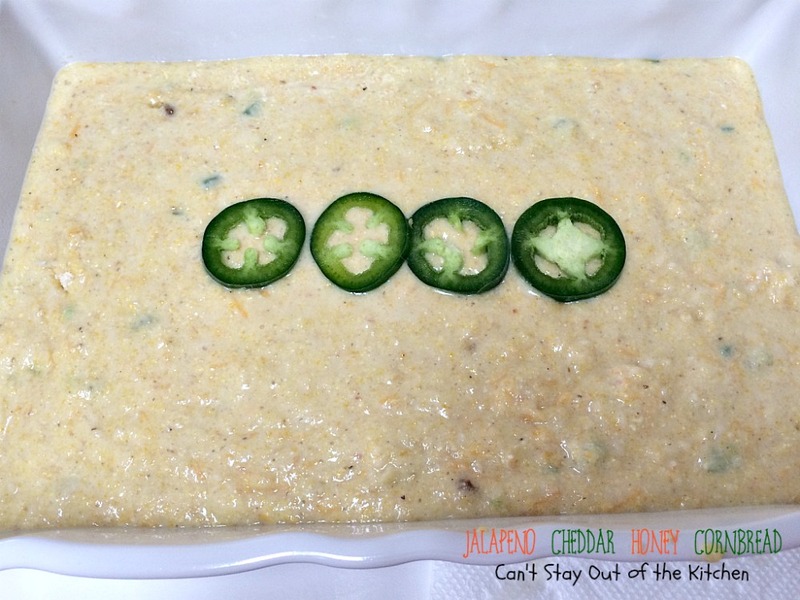 Jalapeno Cheddar Honey Cornbread is great served for tailgating parties when you’re serving Deer Chili! Every bite is yum, yum good! 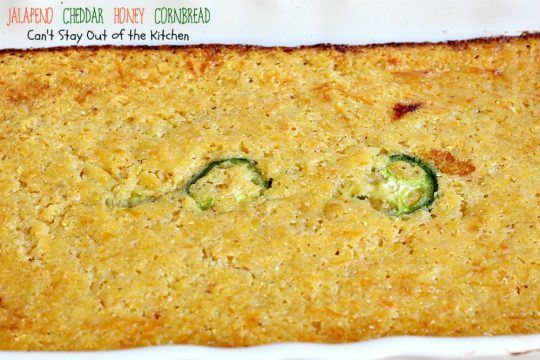 This cornbread looks amazing, Teresa! I love the texture of it. 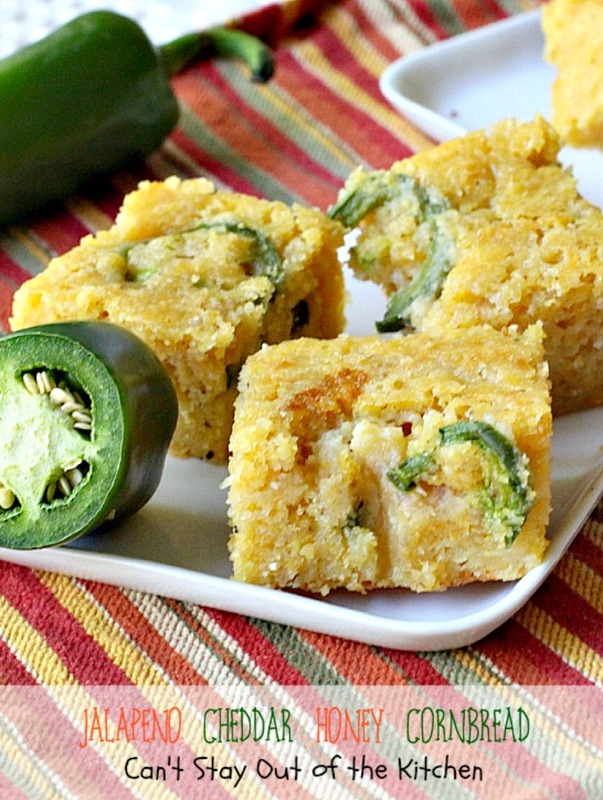 Jalapenos are my favorites, too, so I know I would enjoy this. 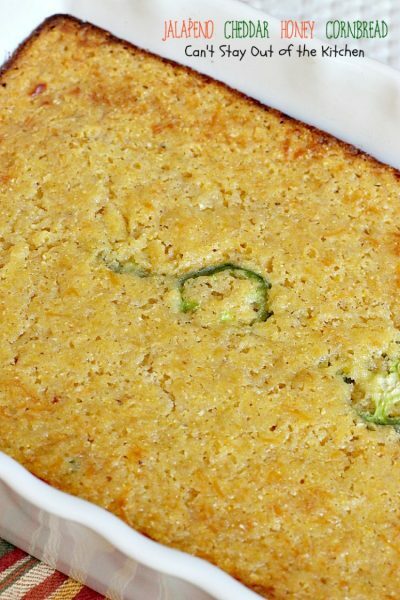 I want to try all of your cornbread recipes. They sound so good!